430 stainless steel sheet metal is a slightly lower grade than the 300 series and is commonly used for applications when the metal needs to hold a magnet, which the 300 series does not. 430 stainless steel custom C-Channel bright annealed (BA) finish is slightly more susceptible to corrosion since it does not contain nickel or molybdenum like the 300 series. Unlike structural, extruded C- Channel, our custom C-Channel will be cut to your specifications and bent in a press break. Therefore, our custom C-Channel will give customers more variety of fabrication options, including a wide range of bending angles, hemmed edges (on thinner gauge material), flange options, uneven leg sizes, etc. On our custom C-Channel made out of material with a finished side, Stainless Supply also offers the choice of which side the finish side is placed on the custom C-Channel, which can be selected in Step 2 of the Cost Calculator. For #4 brushed finish, #8 mirror finish, and Bright Annealed (BA) finish stainless steel, the finished side will have a protective film on it to help prevent scratching until the product is delivered. On our smooth finish and tread plate aluminum, there may or may not be a protective film on the material as it is not industry standard to have PVC film. Please contact Stainless Supply if you prefer a scratch free side on mill finish aluminum and a sales representative can verify if it is possible on the aluminum custom C-Channel that is being ordered. 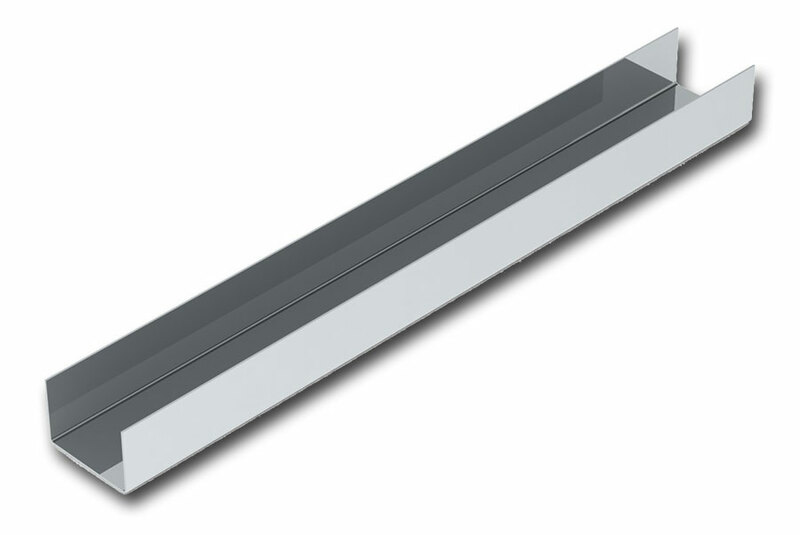 Currently, Stainless Supply can offer up to 120" (10 foot) lengths of custom C-Channel. In terms of shipping, UPS and Fed-Ex ground will not take packages over 9 feet in length (including packaging). Therefore, anything over 96" (8 feet) will be rated as a freight shipment after adding it to the shopping cart and typically the shipping price will be higher than ground orders. If you have any questions about freight shipments, please call our office at 877-484-0088. The 430 bright annealed custom C-Channel (BA) finish is cold rolled stainless steel that is annealed in a controlled atmosphere to retain a highly reflective finish. Although it is not completely identical to the #8 mirror finish, it appears to be very similar. The 430 stainless steel custom C-Channel bright annealed finish has a PVC film on one side to help protect against scratching during fabrication and installation.